Unless optimized, a WordPress website can be considered slow because of the typical configuration in its default status. This would be more evident if there is a presence of complex content as well as an extremely large number of concurrent visitors. 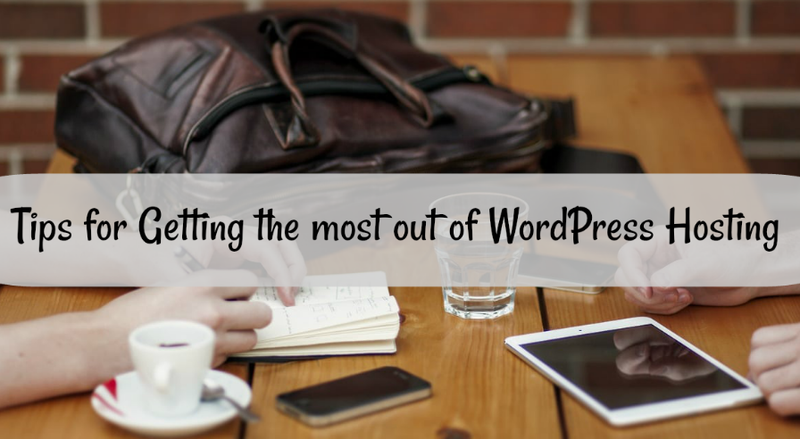 The good news is that WordPress hosting is one of the most flexible ways that allows multiple methods and steps to improve the overall speed of page loading. Faster page loading is an essential factor as far as Google’s search criteria are concerned. Users can also assess the load times by accessing developers.google.com that offers a vital link to know Google page speed. In this article, you can find some of the most practical ways to improve speed and achieve a WordPress optimized website configuration. A homepage is the most visible part of the website and is also the most frequently visited page of the website. Therefore you must pay required attention to the optimization of a home page while using a WordPress hosting plan. The visitor’s browser needs to perform minimum requests while fetching WordPress theme as well as plugins for faster loading of pages. Having learned the golden rule of page optimization that underlines the significance of minimum possible HTTP requests, it would be easy for you to optimize your home page with the support of a plugin that is designed to reduce these requests. WP Asset Clean Up is ideally used for rapid loading of your website pages. This WordPress plugin obviates superfluous scripts and themes that may retard page loading. One should avoid uncalled for loading of pages with help of social media sharing buttons and avoid the temptation to display entire blog posts and offer short excerpts instead. There are quite a few plugins with image optimization features, you can find out there. Some of these are WPSmush.it and EWWW Image Optimizer and the latter option is the one you should choose for optimizing site’s images. It is recommended that you have the exec() function activated before proceeding to activate this plugin. After activating this plugin the image optimization can be performed by going to Media>Bulk Optimize. Additionally, there is a bulk optimization facility to optimize the entire gamut of images on your website. The scan and optimize option helps you deal with the theme’s graphic content. You need to be aware that the optimization method is resource intensive and may impact the CPU resources. This plugin can also be used to set the desired level of image compression and this can influence the overall quality of images especially in blog posts in a WordPress hosting environment. If you are looking forward to fixing scheduled optimization of the images, then there is the option in the Advanced Settings menu of your WP control panel. This option will obviate media library images since such images have already been optimized. The most sought-after optimization method right now is Gzip and it requires selection of compress all content before clicking on update settings. The option of Gzip can be accessed by approaching software and services in CPanel area followed by a menu of optimizing a website. These the most vital components to boost site speeds however one must carry out relevant research before building a busy website in order to zero in on the most optimized as well as the lightest theme. The thumb rule for selection of a right theme for WordPress blog is to match the theme with website content including SSL certificate. Ideally, the basic topic for your website needs to be determined so that a right theme can be selected to match all future additions and developments of your website resource. Content uploading and topic selection must precede the actual procedure of theme choice. The seamless flexibility of WordPress hosting facilitates tweaking of several themes for the WordPress blog for the desired appearance. In order to have a smooth transition, one needs to pay attention to precise coding. The easiest yet the most useful tips in WordPress hosting consist of keeping the website as simple as possible to avoid slow page loading due to complexities. If you have selected a theme with a highly responsive layout and included page builders, then you can look forward to a faster loading website. Apart from its SEO friendliness, your theme must be tweaked for the plugins that are supposed to support it.